I hope everyone had a spooky Halloween! It's my favourite holiday and I look forward to it every year. 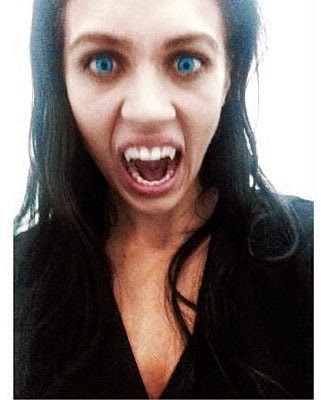 I love to wear coloured contacts for the night and dress up as something a little scary. This year I went as Selene from Underworld. Have a good rest of the weekend! How lovely!… nice scary makeup!